Cara Tejpal. 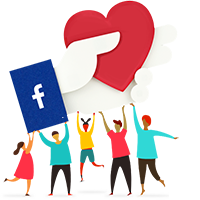 has successfully raised funds & reached the goal amount. We thank all the 241 generous supporters for their kindness. Support 'mud-on-the-boots' conservationists working to protect India's vanishing wildlife! I'm a wildlife conservationist and writer with the Sanctuary Nature Foundation. I head campaigns, communications and the Mud on Boots Project, a unique programme designed to empower grassroots conservationists across India! They're both Project Leaders under the Sanctuary Nature Foundation's Mud on Boots Project. Urs (pictured with his father and flock, above) protects the habitat of the critically endangered Great Indian Bustard, while Nabum ji leads community conservation initiatives in the buffer of the Pakke Tiger Reserve. Each of our Project Leaders - from Sunil Harsana who works to protect Haryana's sacred Mangar Bani forest to Sajal Madhu who mitigates human-elephant conflict in Chhattisgarh to Zakhuma Don who works as a forest guard in Mizoram's Dampa Tiger Reserve to Rajeev Chauhan (pictured with a rescued spotted pond turtle) who defends gharial habitat along the Chambal river - is inspirational! Feel free to ask Cara Tejpal. for a new update on this Fundraiser. Four days to go and just Rs. 58,499/- left to raise! Over the past five weeks, 217 people have supported the Mud on Boots Project through this crowdfunding campaign and raised over nine lakh rupees to empower India's grassroots conservationists! What makes this project exceptional is its irreverence for convention. Our Project Leaders are selected for their impact on the ground, and not for their degrees or affiliations. They work in diverse landscapes, on diverse conservation issues, and implement diverse initiatives. Consequently, we've forsaken that 'one size fits all' strategy and customise the support we give to each project and Project Leader. You can read a brief profile on each of these incredible humans right here. 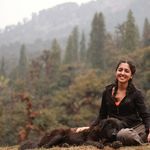 Sanctuary's founder Bittu Sahgal likes to say that "conservation strategies needs diversity just like a healthy forest does". And it's a matter of great pride that our Project Leaders epitomise this philosophy by tackling urgent threats like poaching and illegal logging; by rescuing wildlife and planting indigenous plant species; by nurturing young naturalists and documenting wildlife; by helping communities and assisting the forest department. With your generosity, you've proved that you don't need to be a conservationist to help protect the country's wild species and landscapes. This is my last call to you to spread the word on the campaign and share the crowdfunding page with your family and friends. Hopefully, we will reach our target by the deadline. Thank you for taking the time to contribute to the campaign and follow its progress! Well, it's more than half full. Thanks to your contribution, today the campaign crossed six lakh! In addition, a (for now) anonymous donor has pledged Rs. 20,000/- to the cause if 20 new contributions are made to the campaign by midnight tomorrow (June 30, 2017). Help me unlock this donation by getting an animal-lover who you know to contribute ANY amount to the campaign! The Mud on Boots Project empowers the grassroots conservationists who are usually overlooked by big organisations, government agencies and international donors, but who are making a real impact at the ground level. For example, in West Bengal, senior citizen Joydeb Pradhan has started a 'Seed Goat Reserve' to compensate villagers who lose goats to attacks by fishing cats. In Mizoram, forest guard Zakhuma Don has begun documenting the voluntary relocation of a village from the buffer of the Dampa Tiger Reserve. In Haryana, flora-lover Sunil Harsana is readying to plant the seeds of indigenous trees, which he collected through winter and spring, in the Mangar Bani forest. 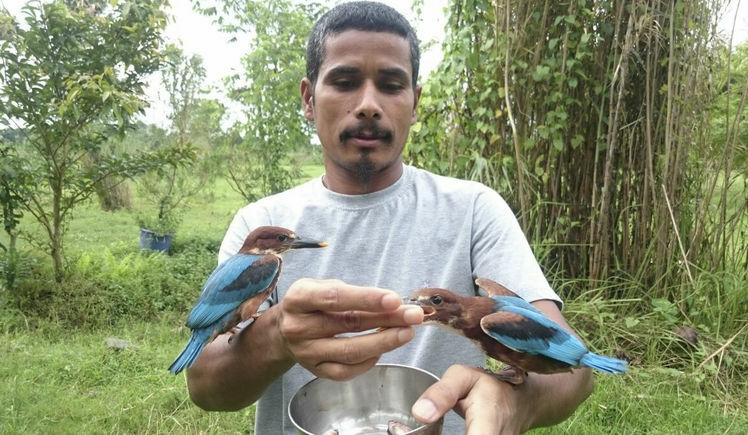 And in Assam, wildlife rehabilitator Manoj Gogoi has already rescued over 28 individual wild animals, including a leopard! And these are just the highlights from a few of our leaders. Thank you for giving a fillip to these earth heroes who work against all odds to preserve our breathtaking natural heritage. Your support is invaluable! P.S: This glorious picture of the gushing Dri river was sent to me by Project Leader Anoko Mega who works in Arunachal Pradesh. Anoko concentrates on the conservation of the eastern Hoolock gibbon, and works with the Mishmi tribal community and forest department to reduce hunting, increase conservation awareness and document the biodiversity of the Dibang valley. Your message will be directly emailed to Cara Tejpal. and you will receive his/her response on the email address entered below. Your message will be directly emailed to Sanctuary Nature Foundation and you will receive his/her response on the email address entered below. Share your Fundraiser and help Cara Tejpal.